THE DIFFERENCE BETWEEN A GROUP AND A PARTY IS ABOUT THREE WHEELS. 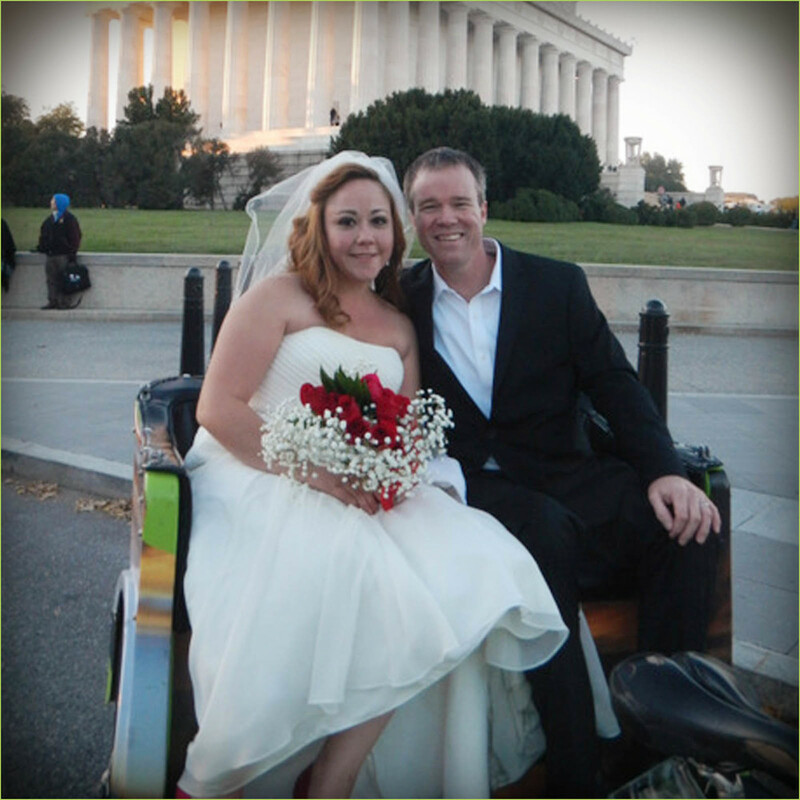 SCHEDULE PEDICABS FOR YOUR NEXT EVENT BY FILLING IN THE FORM BELOW! 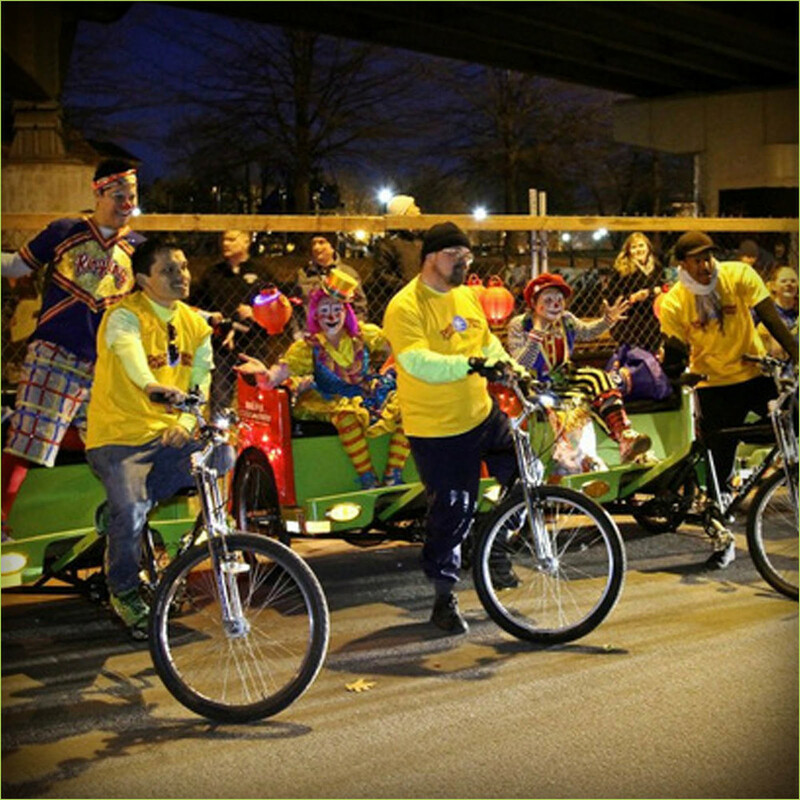 Shuttles, company-promoters or party-makers, pedicabs are versatile and memorable additions to your event. Whether carrying a large group or a large box, we can get in and out of tight places and add an upbeat mood to your agenda. 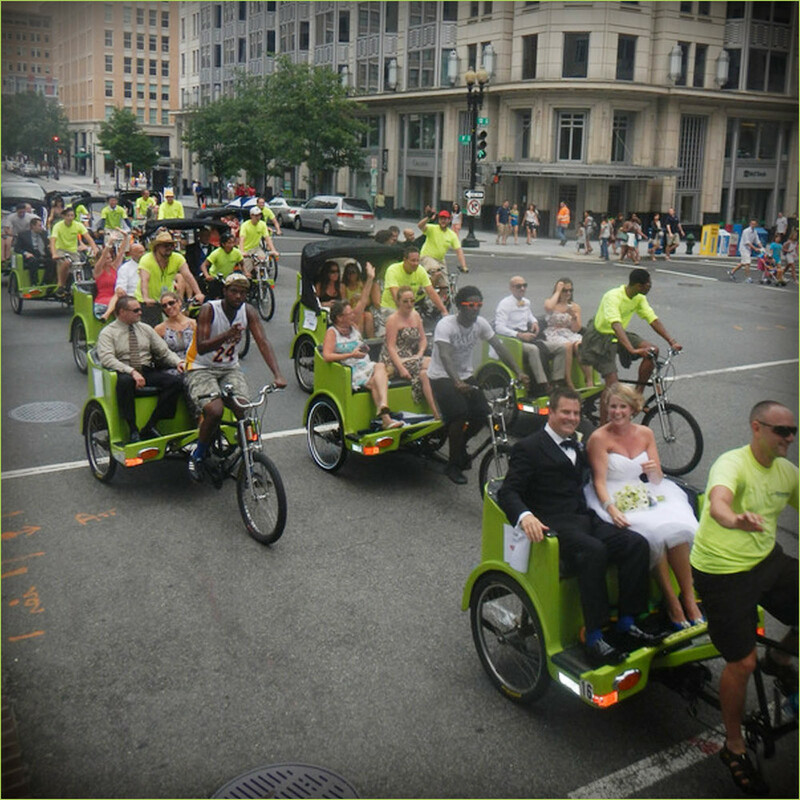 Optionally, chartering groups of pedicabs can even be the event. And remember, if you're looking for pick up soon, please call us at 202-269-9090. Are you with the business? If so, let us know your company's name. Does this group ride or event have a specific name? "Jill's birthday bash," "Big Time Inc.'s company retreat," "Kevin's bachelor party," etc. What day is this group ride taking place? Just a single-direction group ride. A round trip; one group trip there, one group trip back. A series of shuttles going back-and-forth several times. If the pick-up point is at a place of business, include the business name with the address or intersection. If the destination is at a place of business, include the business name with the address or intersection. Let us know any details that will help us make this group ride awesome! Thanks for booking a group pedicab ride with us! We will be in touch with a confirmation call or email shortly! We consider group rides or "party rides" to be any ride that has more then 10 passengers, or rides related to an event or happening. If you're looking for a ride within 2 hours of now, call the manager on dispatch at 202-269-9090 or book here.